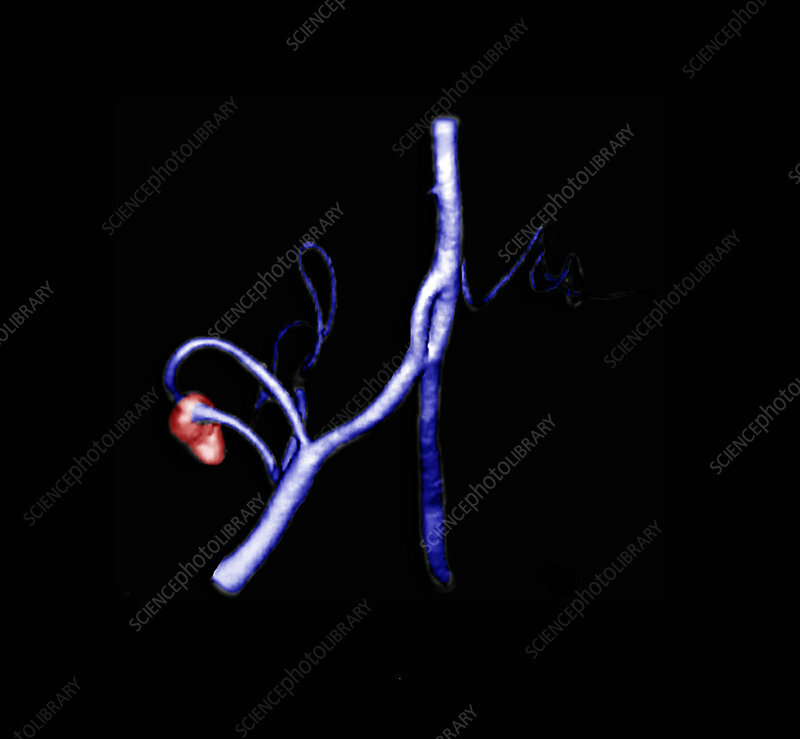 Angiography is a specialized type of x-ray where a contrast agent (or dye) is injected into the blood vessels, during which many x-rays are taken and used to generate a 3D image of the blood vessels examined. An aneurysm is an abnormal enlargement of the blood vessel. Aneurysms are dangerous because as they get bigger the wall of the blood vessel gets thinner and can tear, resulting in bleeding inside of the head.